Kevin Chin and Shen Wei, installation view, Closing the Distance, 2017, Bundoora Homestead Art Centre. Photo: Nicola Dracoulis. Pia Johnson, installation view, Closing the Distance, 2017, Bundoora Homestead Art Centre. Photo: Nicola Dracoulis. Louise Zhang, installation view, Closing the Distance, 2017, Bundoora Homestead Art Centre. Photo: Nicola Dracoulis. 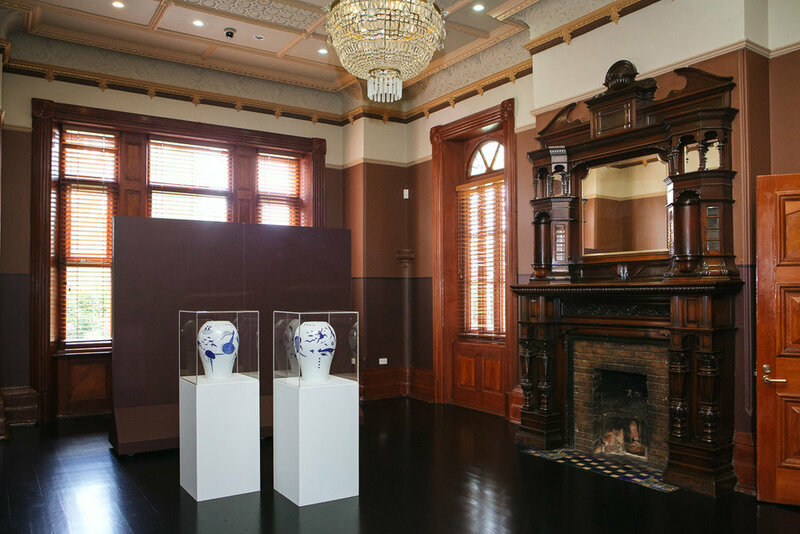 Guan Wei, installation view, Closing the Distance, 2017, Bundoora Homestead Art Centre. Photo: Nicola Dracoulis. Owen Leong, installation view, Closing the Distance, 2017, Bundoora Homestead Art Centre. Photo: Nicola Dracoulis. Shen Wei, installation view, Closing the Distance, 2017, Bundoora Homestead Art Centre. Photo: Nicola Dracoulis. 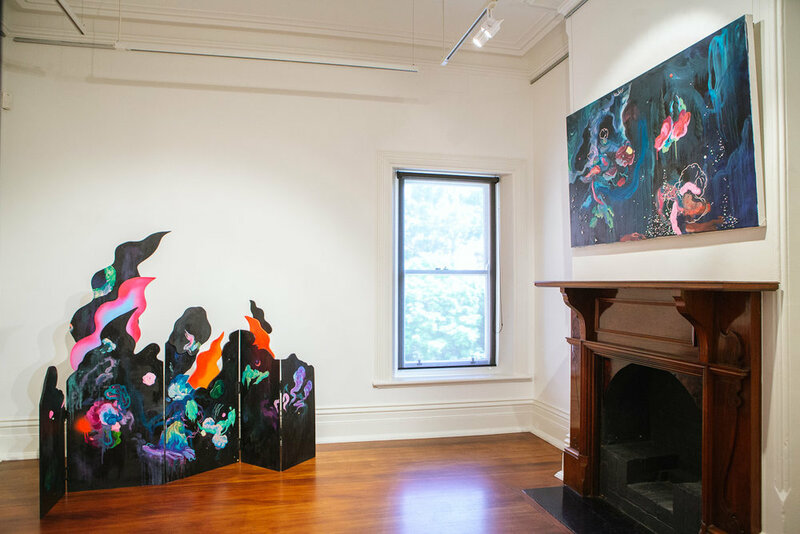 Kevin Chin, installation view, Closing the Distance, 2017, Bundoora Homestead Art Centre. Photo: Nicola Dracoulis. Jason Phu, installation view, Closing the Distance, 2017, Bundoora Homestead Art Centre. Photo: Nicola Dracoulis. 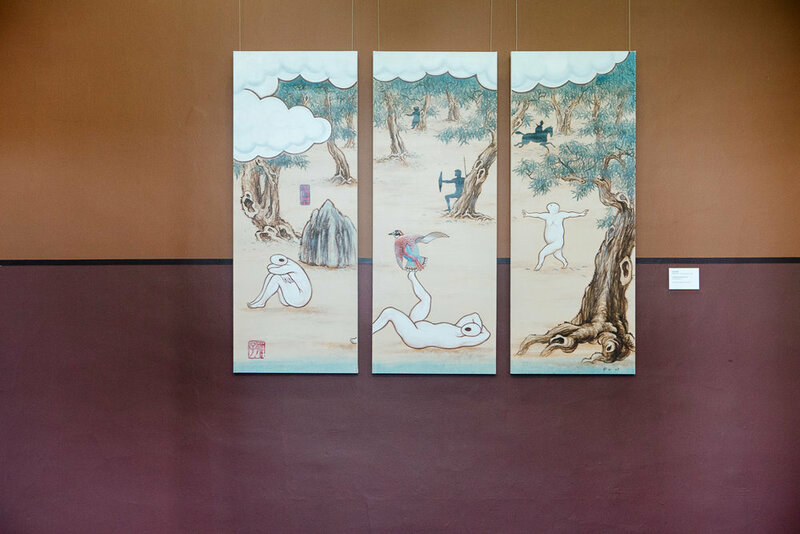 Pei Pei He, installation view, Closing the Distance, 2017, Bundoora Homestead Art Centre. Photo: Nicola Dracoulis. Cyrus Tang, installation view, Closing the Distance, 2017, Bundoora Homestead Art Centre. Photo: Nicola Dracoulis. Lindy Lee, installation view, Closing the Distance, 2017, Bundoora Homestead Art Centre. Photo: Nicola Dracoulis. Artists: Kevin Chin, Pei Pei He, Pia Johnson, Lindy Lee, Owen Leong, Eugenia Lim, Chun-yu Liu, Jason Phu, Cyrus Tang, Guan Wei, Shen Wei and Louise Zhang. 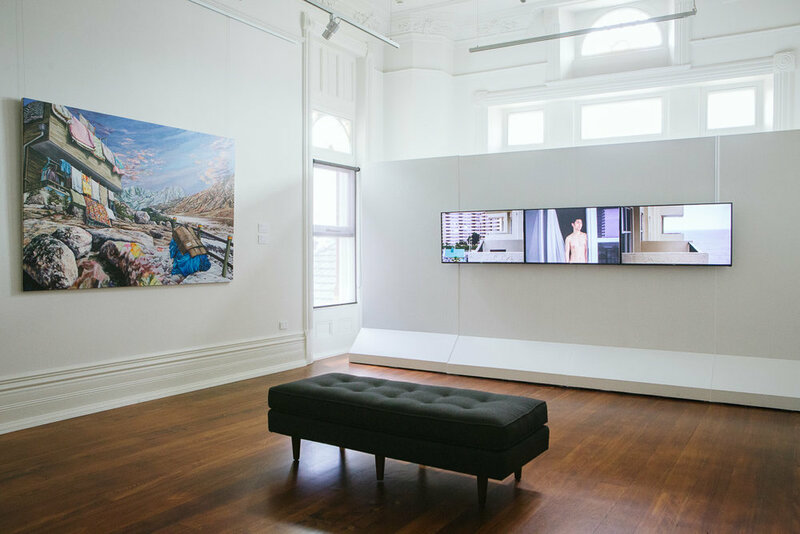 Closing the Distance brought together contemporary Chinese and Australian-Chinese artists to explore issues of migration, place and the contemporary diaspora experience. The exhibition focused on artists whose works make connections to shared Chinese cultural heritage, lineage, and lived experience. Central to this exhibition was the exploration of contemporary migration and the movement of people, culture and history across local and global boundaries. Closing the Distance highlighted how cultural differences are valuable in providing diverse viewpoints, but also how shared personal experiences and narratives can provide a means to bridge these differences. Exhibition launch, guest speaker Mikala Tai, Saturday 11 February, 2-4pm. Artists’ and Curator’s Talk, Saturday 18th March, 2-3pm.